Everyone is going to promote its website and wants a large number of handsome traffic, back backlinks, anchor text is also considered a way of good ranking in search engines.in this article, I will talk about the anchor text and its significant in SEO. The anchor text, link label or link text is visible, clickable text in a hyperlink. The words contained in the anchor text can determine the ranking that the page will receive by search engines.Usually, Web Search Engines analyze anchor text from hyperlinks on web pages. However, also other services apply the basic principles of its analysis. For instance, academic search engines may use citation context to classify academic articles. The anchor text in this example is “Technotrait; the unwieldy URL https://www.technotrait.com displays on the web page as technotrait contributing to clean, easy-to-read text. Anchor text is weighted (ranked) highly in search engine Optimization(SEO) because the linked text is usually relevant to the landing page. The objective of search engines is to provide highly relevant search results; this is where it helps, as the tendency was, more often than not, to hyperlink words relevant to the landing page. 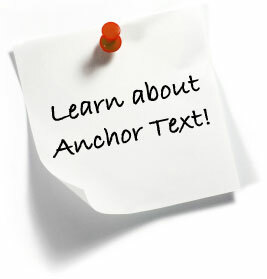 Webmasters may use anchor text to procure high results in search engine results pages. Google’s Webmaster Tools facilitate this optimization by letting website owners view the most common words in anchor text linking to their site. In the past, Google bombing was possible through anchor text manipulation; , however, in Janua 2007, Google announced it had updated its algorithm to minimize the impact of Googlebombs.